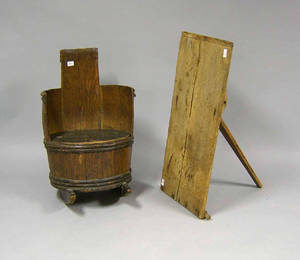 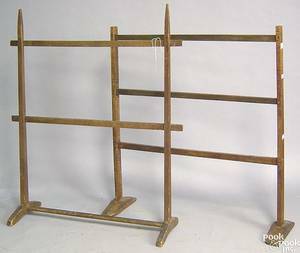 Quilt rack, together with a stool, barrel chair, embroidery stand, and fold down table. 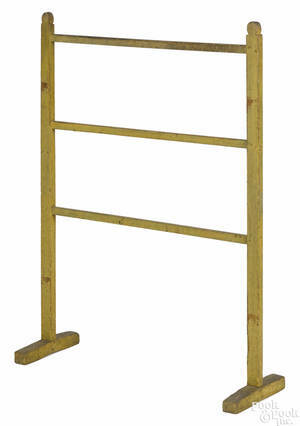 Wooden Four-Part Folding Drying Rack a Wooden Two-Part Quilt Rack and a Grain Painted Wooden Open Rocking Cradle. 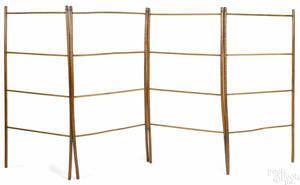 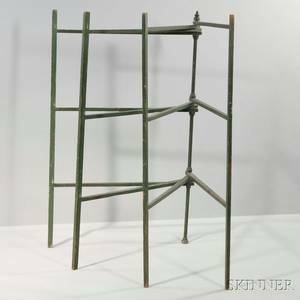 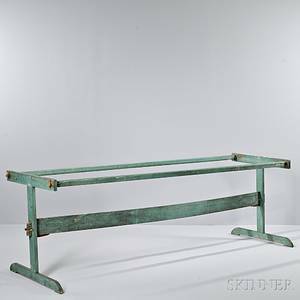 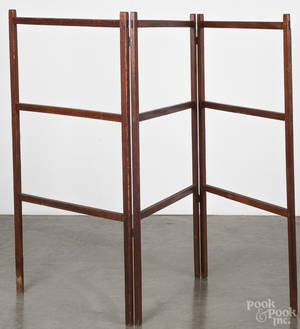 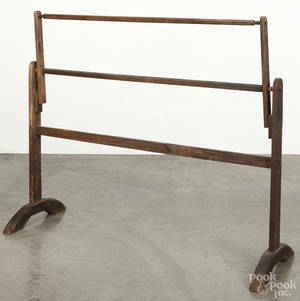 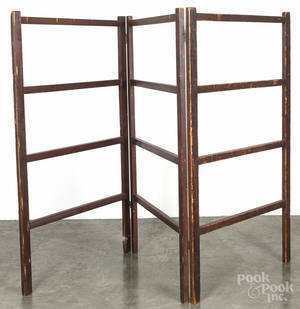 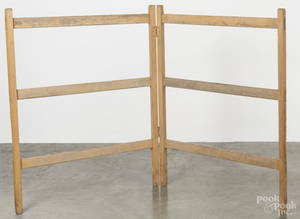 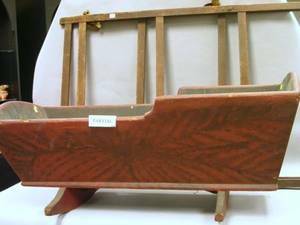 Chester County, Pennsylvania painted quilt rack, early 19th c.
Tiger maple folding quilt rack, 19th c.